Today, we are going to talk about one significant improvement which affects both the shopping experience of your customers and the daily routine of administrators. Meet the Aitoc Dimensional Shipping Magento 2 packaging extension. The module is designed to help you or your managers streamline packaging and, as a result, shipping routine by introducing an entirely new algorithm that offers instructions on how to fill shipping boxes most efficiently. Below, we shed light on how the tool works in more details. Chances are, you sell lots of various products. It means that items of all possible dimensions and weight are available on your ecommerce website, so each new order may be composed of products that have absolutely different dims. With the Aitoc Dimensional Shipping Magento 2 module, you no longer have to think about how to pack them most efficiently. The extension is based on a custom algorithm that does this work instead of you. It analyzes weight and dimensions of products as well as dimensions of available boxes and provides the most efficient solution. As a result, you reduce shipping costs and the number of packaging errors: the extension offers instructions on what boxes to choose from and what items to put there to combine the order. Furthermore, the Aitoc Dimensional Shipping Magento 2 extension displays the accurate weight and dimensions of shipping boxes – already packed orders. With this information, you can choose the cheapest carrier, reducing shipping costs as well. Note that Aitoc offers a free quote for integration with carriers, so you can fully automate this process. Before going any further, let’s summarize the core benefits the Aitoc Dimensional Shipping Magento 2 module offers. First of all, you essentially improve the default packaging routine by installing the tool. The extension offers instructions on how to pack orders in the most cost-effective way. Secondly, you improve the shopping experience, since your managers get clear instructions on how to pack orders and what items to put into a shipping box. As a result, the amount of packaging errors is reduced, and your shopping experience is enhanced. Thirdly, you reduce shipping costs. On the one hand, you reduce the number of boxes necessary to pack a large order. On the other hand, you get all the required information about the dimensions and weight of packed orders, so you can easily find a carrier with the lowest rates. 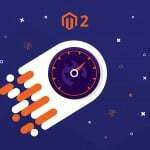 Now, when you know the benefits, let’s take a look at all the backend nuances of the Aitoc Dimensional Shipping Magento 2 extension. Go to Stores -> Settings -> Configuration -> Aitoc Extensions -> Dimensional Shipping. 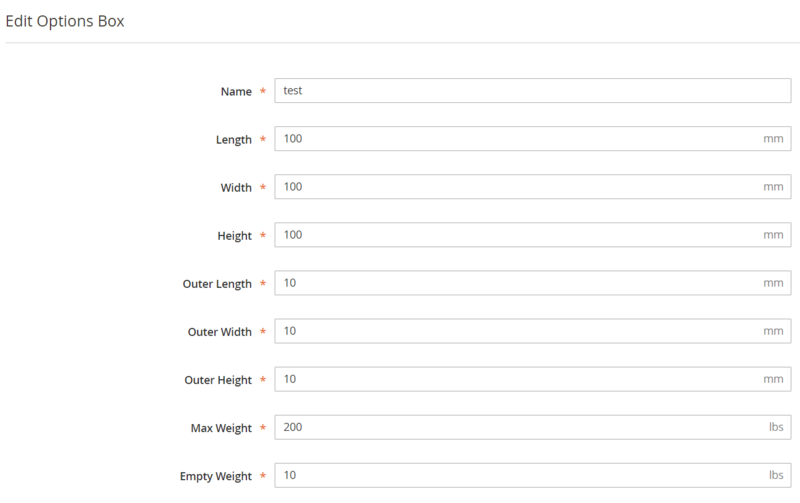 Here, you can specify dimensional units for boxes and products dimensions. The Aitoc Dimensional Shipping Magento 2 module allows choosing from mm, cm, in, or ft.
Next, visit System -> Extensions -> Dimensional Shipping. The grid with boxes is available here. It illustrates such parameters as box name, dimensions, and outer dimensions (length, width, and height), as well as maximum and empty weight. You can edit each box and create a new one from this page. To add a new box, specify the dimensional parameters mentioned above. Note that while dimensional units can be changed in settings, a weight unit is constant – it is lbs. Add as many box types as you use, which will help you radically improve your Magento 2 packaging routine. 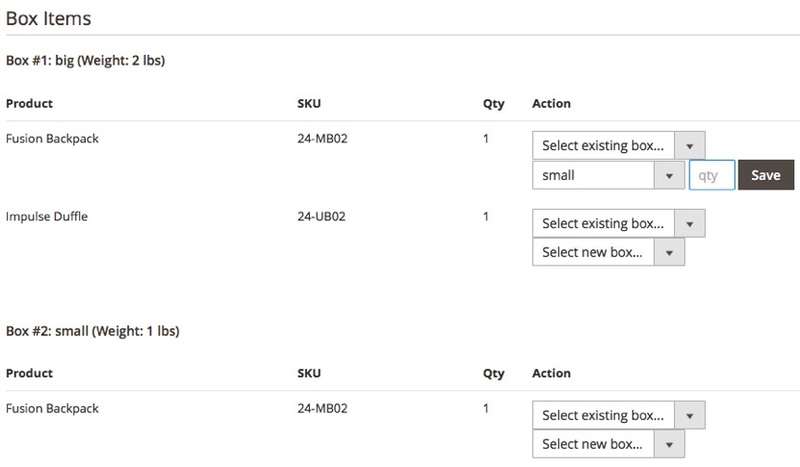 When all boxes are available in the grid, go to Products -> Inventory -> Catalog and select a product. Use the combination of ‘CTRL’ + ‘F’ to quickly find the ‘Weight’ field. It is available under ‘Stock Status’ and above ‘Visibility’. Specify the product weight here. Next, go to the ‘Dimensional Shipping Options’ section at the bottom of the same page. Here, type product length, width, and height. Enable/disable a special box for the selected product. If the feature is enabled, choose a box manually from the drop-down list. Alternatively, the Aitoc Dimensional Shipping Magento 2 module allows specifying special packing rules for the product. 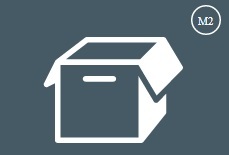 It is possible to use a separate box for each item or several items of the product. 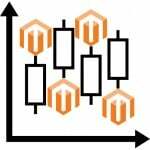 Now, your product is ready for improved Magento 2 packing. 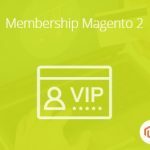 You can configure the same parameters for all other products to take the full advantage of the Aitoc Dimensional Shipping for Magento 2. 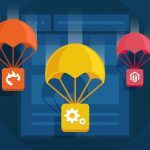 Let’s check how the module changes the order section of the Magento 2 backend. Go to Sales -> Operations -> Orders and select an order. Find the ‘Box Items’ section. Here the order is split into two boxes. For each product in a box, you can also select a package. Note that the tab displays the weight of each box. These were all the nuances of the backend configuration. As you can see, the Aitoc Dimensional Shipping Magento 2 extension offers a very user-friendly admin section. Of course, it will take some time to add all box types and provide additional information about each product, but this will help to get the mentioned benefits in the future. Be long-sighted and don’t hesitate to spend time on further improvements.